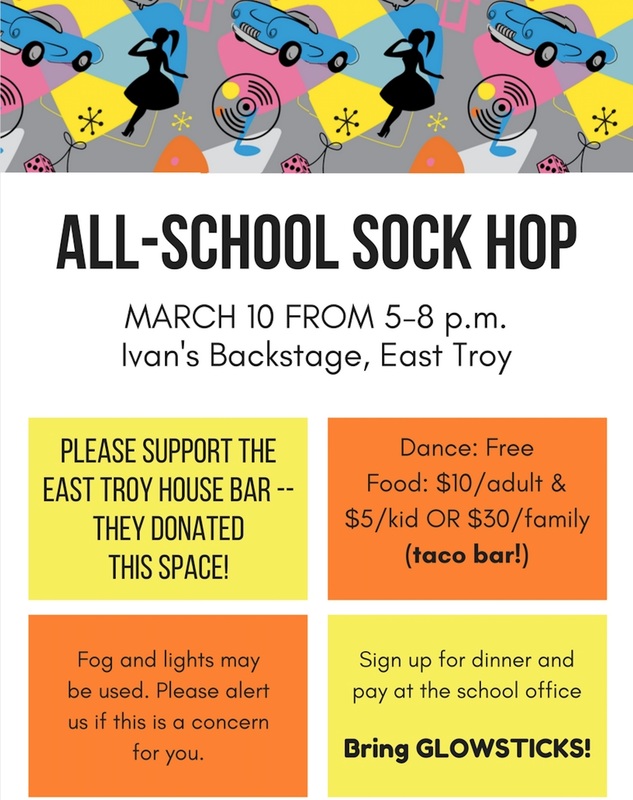 Join us for our second annual all-school sock hop! Admission to the dance is free, but if you’d like to partake in an *amazing* taco bar you can do so for $5/kid $10/adult OR $30 for the whole family. Please do note there will be bright, strobing lights and fog machines. If you or your child(ren) are sensitive to such stimulation let us know before attending so we can be mindful in providing a fun and safe environment for all.